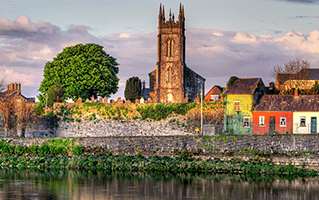 The land of greens; gorgeous lakes; picturesque villages; rugged mountains; splendid castles and misty sea cliffs, Ireland is an enchanting country to explore. If you think that?s all, think again because there is a myriad of other attractions. Avail car hire Ireland services from Hertz and make the most of your vacation. Drive as much as you can and explore scenic wonders and architectural excellence of this amazingly beautiful country. 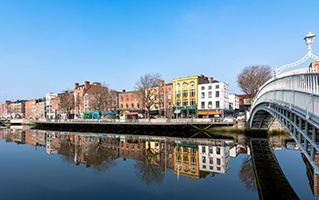 Dublin, the Irish capital, is a place known for its unique architecture and live music performances. If you're a night bird and believe in staying out, Dublin certainly offers you a vibrant and pulsating nightlife. Plenty of bars, fine dine restaurants, buzzing cafes and discotheques are its calling cards. Truly European yet so global! You don't feel like a foreigner. The hospitality and friendliness of Irish people is truly admiring. Emerald Isle is one of the most stunning places in Ireland. Offering a scenic extravaganza, the place is so gorgeous that you feel like settling there forever. From picturesque villages, wide open spaces, beautiful skies and lonely wilderness, there is a great opportunity for explorers to discover something that seems out of this world. If you are an outdoor enthusiast, no other country can offer you what you can get in Ireland. 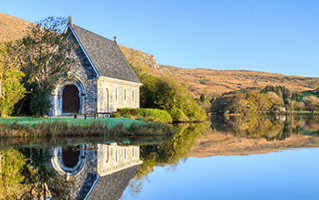 Whether you want to swim, surf, ski, hike, cycle or walk, travel to the remote Irish villages. 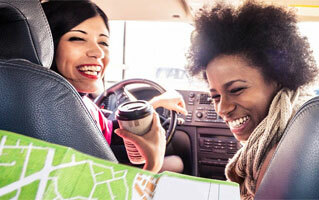 Book car rental Ireland and enjoy driving on the endless roads. This is the best way to explore the beauty and culture of the country. If you want to have cultural pleasures, explore big cities. Dublin, Cork and Belfast- all these cities offer you foot stomping music in lively bars and pubs. There is lot more for history enthusiasts to explore. There is a wealth of medieval castles, early Christian monasteries and prehistoric monuments. Absorb as much history as you can and be familiar with its culture and tradition. Hertz makes your trip more comfortable yet exciting by offering excellent car hire Ireland services. The vehicles can are available at airports, railways stations, city centers and other major locations throughout Ireland. Travel with us to have a wonderful stay in Ireland.